The human mind is both powerful and feeble at the same time. Capacity-wise, it's estimated that the brain has close to 100 terabytes of storage, which is 3000x bigger than the latest MacBook Pro. But the problem is getting the information into storage in the first place. Acquiring knowledge only happens when we can spark connections in the brain to build new memory structures, and this process takes a lot of effort. But, thankfully, the reason humans dominate the world today is a result of the tools and artifacts we use, otherwise known as distributed cognition. Knowledge is not confined to us, individually, but instead it's distributed across various objects. 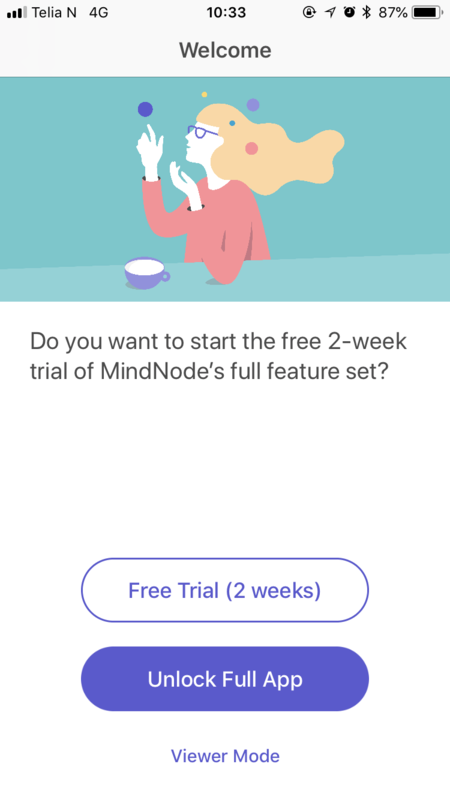 This means that one way to boost your cognitive abilities is by using highly effective tools, and MindNode is one to consider because it supports the way your mind works. 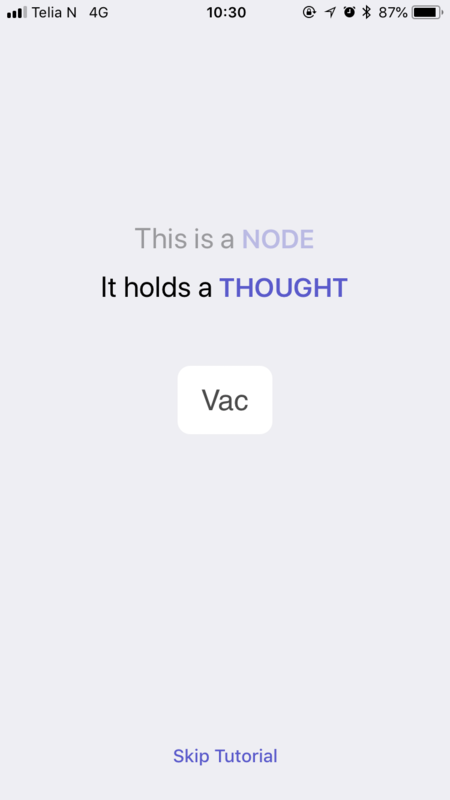 With MindNode, you start with an inner thought that you build upon to make a mind map. This method helps you organize and visualize your ideas externally, freeing your mind to develop deeper connections. 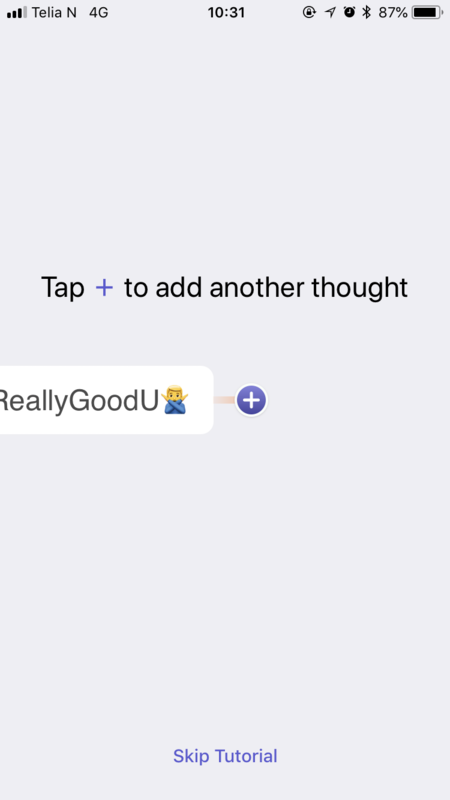 From a UX standpoint, what makes MindNode useful is its simplicity, and it's this same simplicity that makes its onboarding flow elegant, fluid and practical. The animation attracts the user's attention, provides continuity between the steps and helps conserve attention. 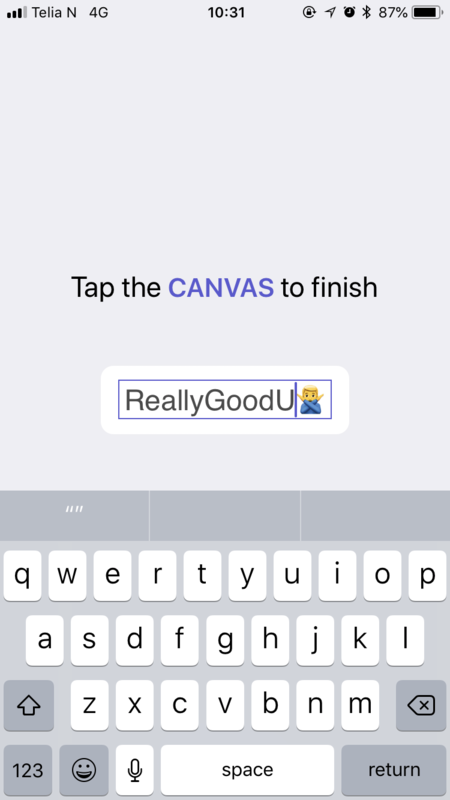 Because of this, in less than a minute, the user can understand the step-by-step process of building a mind map with minimal effort. 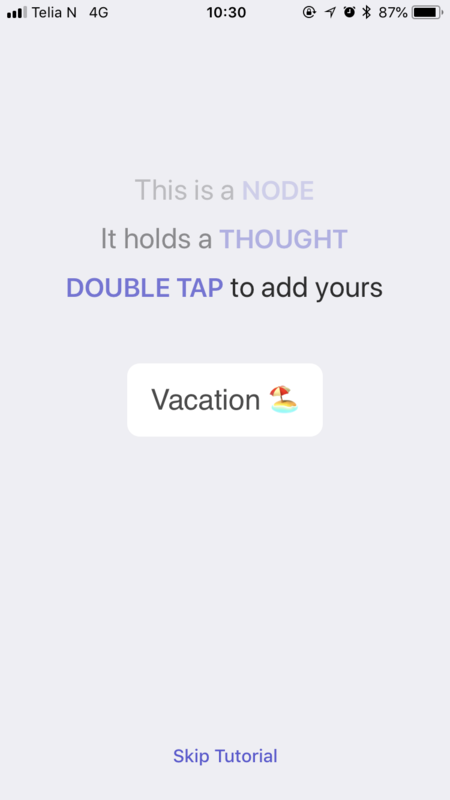 Concise language is used to describe what a node is, and it is supported by the relatable “vacation” example to put it into context. 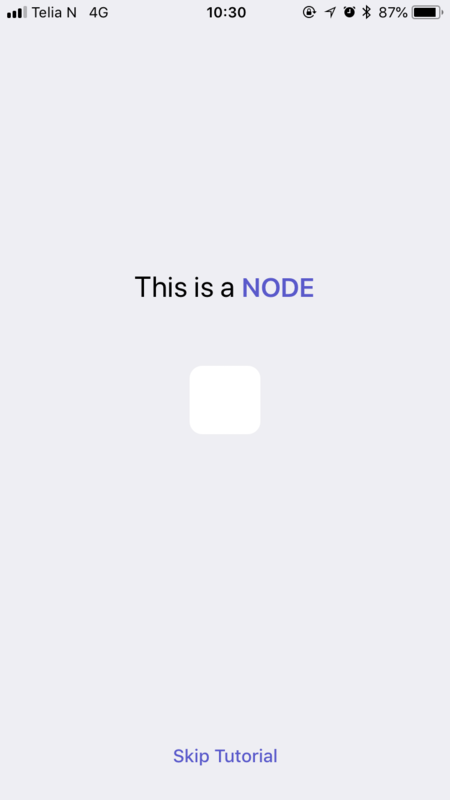 The copy is usable because it explains the concept and helps the user complete the task of creating their first node easily. A component of great UX is feedback because it confirms outcomes and indicates what will happen next. 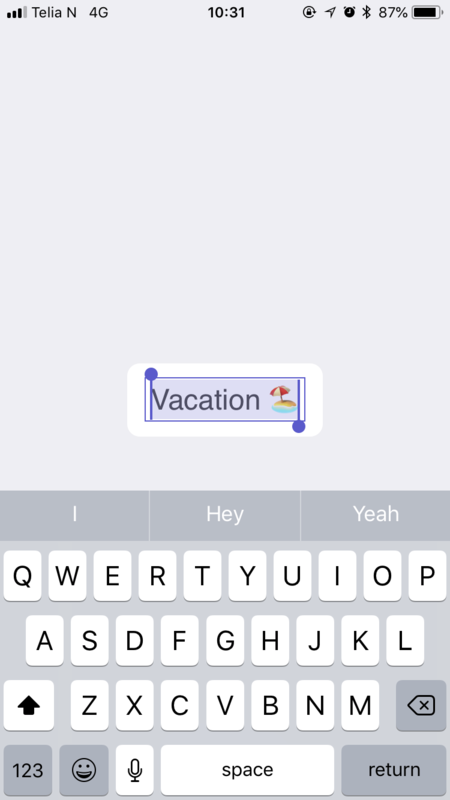 MindNode does this positively with their “You're all set” notification. This message confirms the user has been successful and suggests that there's lots more to come. 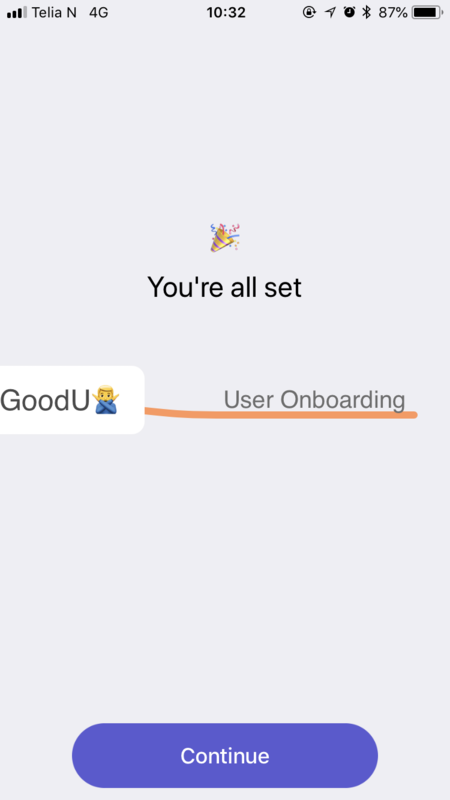 At the end of the flow, the user's motivation is up because they've completed the task, and, at this point, the user has a better idea of the value that MindNode can deliver. 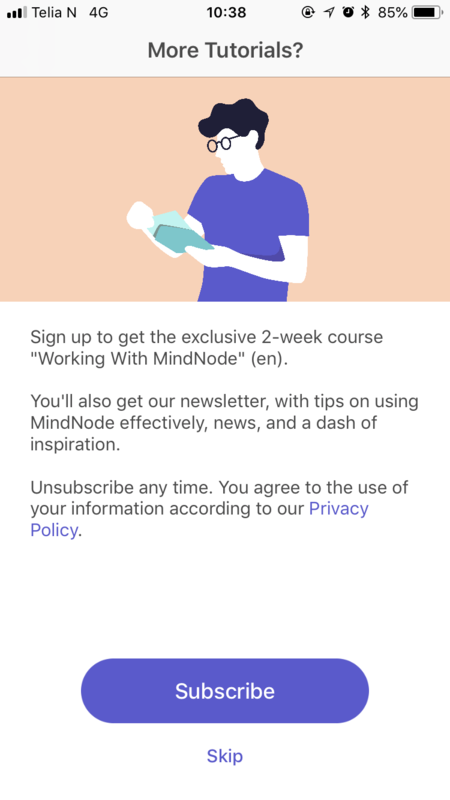 Capitalizing on this moment, MindNode prompts the user to sign up for a full account and to subscribe to a two-week “Working with MindNode” course.